There has been a huge growth in the number of inheritance disputes in recent years due partly to an ‘’increasingly ageing population’’ according to Adam Draper, partner at Irwin Mitchell solicitors who specialises in inheritance disputes. Mrs Ilott was dis-inherited from her mother’s will after having left home at 17 to live with her boyfriend. Her mother left an estate of over half a million pounds split between three animal charities with whom she had no connection. 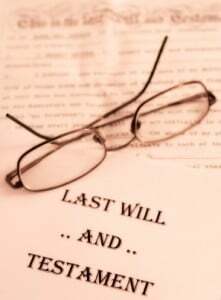 The will was challenged under the Inheritance Act (1975). The case went to the Court of Appeal who ruled that Mrs Ilott was not given a reasonable provision from the estate for her future maintenance as she was on benefits and had no pension. She was awarded £143,000 to buy the rented home she lives in from a housing association and a further £20,000 in cash as “additional income”. An increase from the £50k a previous judge in the High Court had said she should receive. As the Ilott case demonstrates inheritance dispute claims can be very emotive, especially when the estate has a very real limit on its worth. Allianz Legal Protection has been working closely with Irwin Mitchell Solicitors to develop a bespoke After the Event (ATE) insurance solution for inheritance act disputes.